Bainbridge Island, Washington, USA; Waterfront Park, 1000x, DIC. 02 Jul 2009. Karl Bruun. © Karl Bruun (skogenman@earthlink.net). 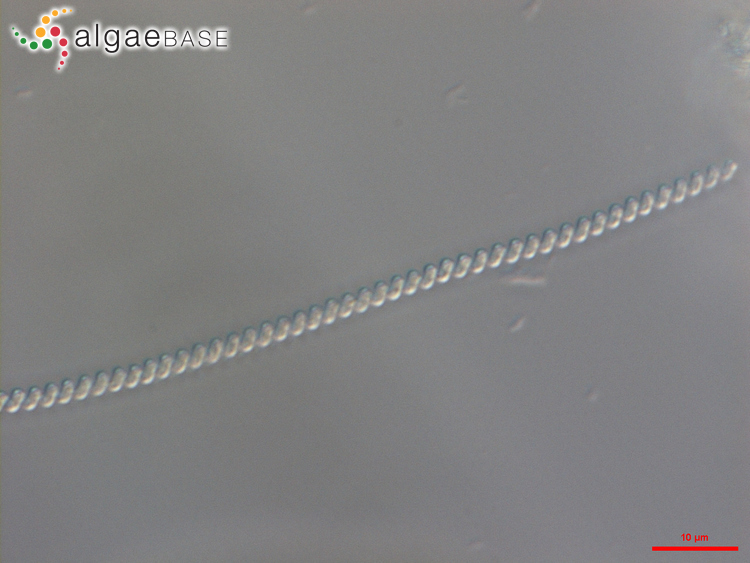 This is the type species (lectotype) of the genus Spirulina. Gul, R., Zarina, A., Masud-ul-Hasan & Shameel, M. (2007). Taxonomic study of Cyanophyta from Sialkot, Pakistan. International Journal of Phycology and Phycochemistry 3(1): 37-48. McGregor, G.B. (2007). 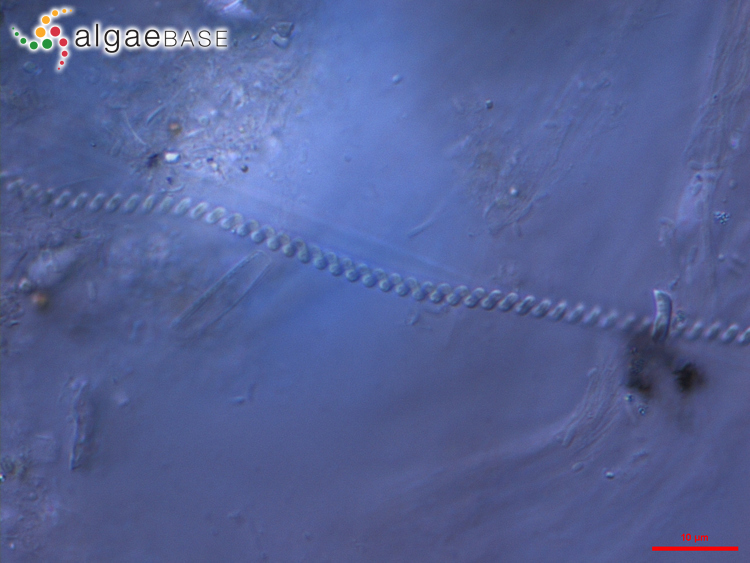 Freshwater Cyanoprokaryota of North-Eastern Australia 1: Oscillatoriales. Flora of Australia Supplementary Series Number 24. pp. [i]-vi, -123, 17 figs, 14 pls. Canberra: Australia Biological Resources Study. Accesses: This record has been accessed by users 4153 times since it was created. Holmgren, P.R., Hostetter, H.P. & Scholes, V.E. (1971). Ultrastructural observations of crosswalls in the blue-green alga Spirulina major. Journal of Phycology 7: 309-311, 4 figs. Valeem, E.E. & Haque, S. (2007). 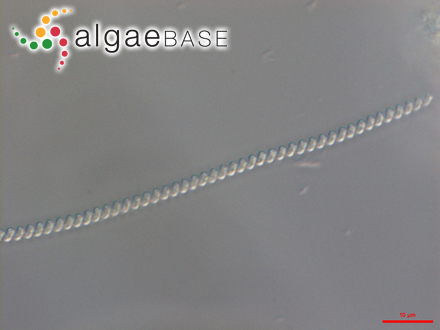 The oligodynamic activity of lead against Anabaena doliolum and Spirulina major. International Journal of Phycology and Phycochemistry 3(2): 169-172.